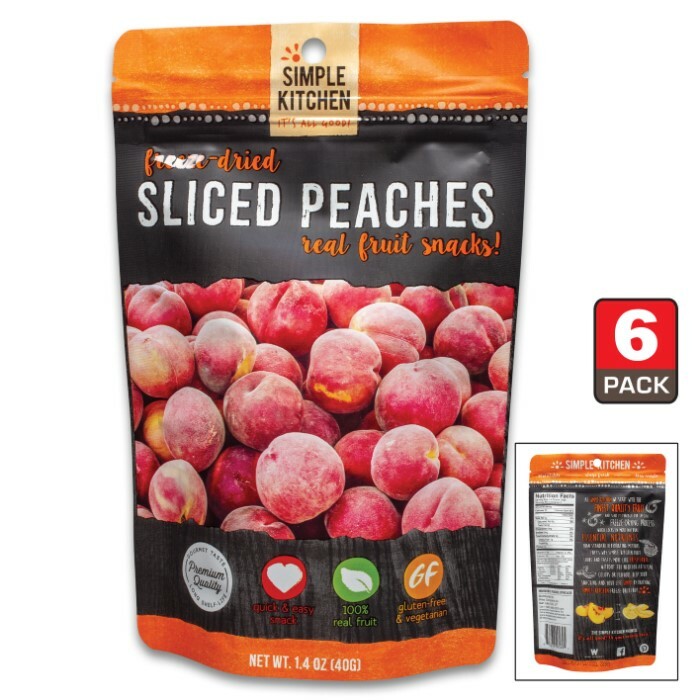 Simple Kitchen Freeze Dried Peaches - Six-Pack, All-Natural Ingredients, Four-Servings Per Pouch, 140 Calories Per Pouch | BUDK.com - Knives & Swords At The Lowest Prices! No fake flavors or preservatives! At Simple Kitchen, they start with the finest quality fruit and send it through a special freeze-drying process, which locks in more natural vitamin C and antioxidants and other nutrients than standard dehydrating methods. That’s why Simple Kitchen fruit looks and tastes more like fresh fruit, without the need for artificial colors or flavors. 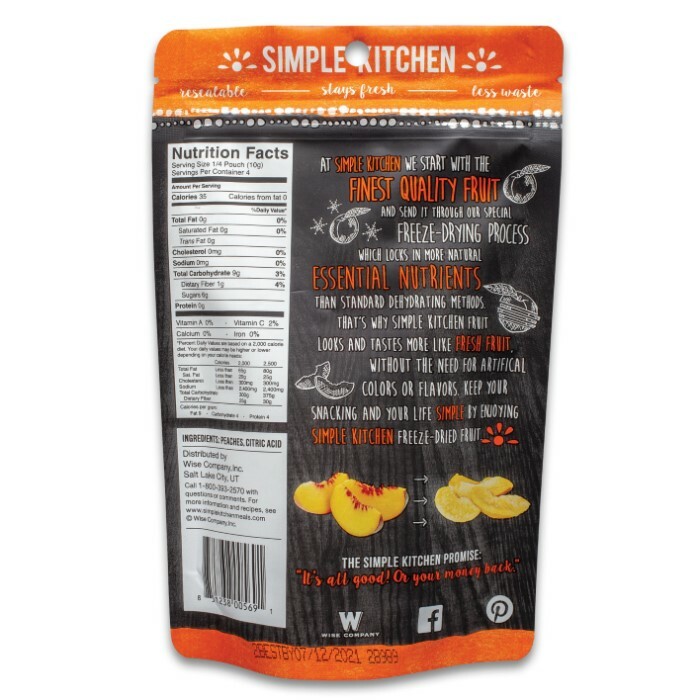 Simple Kitchen’s Freeze Dried Peaches is a gluten free, vegetarian snack pouch that is a healthy alternative to chips and candy. The ingredients contained in each four-serving pouch are simply freeze dried sliced peaches and sugar. This healthy snack is made in the USA with premium ingredients to ensure that it has a long shelf-life and a great taste. There are six pouches in this package and each pouch is 140 calories and has a shelf-life of three years when stored.